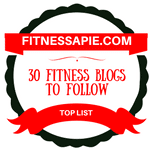 After many years of experience as a seasoned body fitness trainer, We have come to realize that sit-ups top the list of exercises that barely require any skills. It breaks our heart when we see people shying away from sit-ups for alleged lack of a personal trainer, yet these exercises can be accomplished anywhere. This includes at home or even during work breaks. Besides, they don’t have time restrictions and can be done in the morning just after waking up, in the evening, or even just before bed. When done diligently, the benefits of sit ups extend well beyond facilitating muscle growth and enhanced tonality. In fact, statistics depict that sit-ups are capable of creating a synergistic environment within your body. 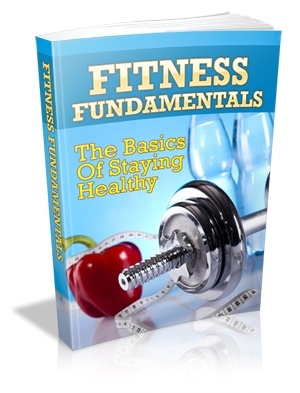 This allows your organs and muscles to harmonize in reaching a point of prime optimization. What beats an effortless exercise that requires minimal training, time, or commitment? Read on to realize as I have, the major benefits to be derived from doing sit-ups on a regular basis. Contrary to the prevailing misconception, sit-ups do not solely work on your abs. In fact, these exercises create variable movements that include the motion of lifting your whole abdominal weight. This enables them to work out quite a number of muscle groups as explained below. Stabilizer muscles: These are tasked with connecting a wide range of muscle groups, which facilitates your ability to use them in a coordinated manner. The stabilizer muscles are usually thoroughly worked when you’re doing sit-ups. Leg muscles: The muscles in your legs benefit greatly from regular sit-ups; this is crucial for improved mobility. Hip flexors: These are responsible for connecting the stabilizers, which in turn, facilitates your ability to bend and rotate. Back muscles: Sit-ups are especially ideal for working out your back muscles, which are perceived as core muscle groups. These are required in your everyday movements, including lifting things. In addition to the apparent benefit of affording you a chiseled six-pack, sit-ups also go a long way in improving the health of your torso. These exercises operate by strengthening your spinal erector muscles. This element directly contributes to your having a healthy posture. It also ensures that you don’t sustain unnecessary injuries that would otherwise emanate from old age by a weakened spine. Moreover, by improving the stabilizer muscles, sit-ups facilitate your ability to control the motion of your torso; this makes you more nimble. Your core strength is primarily focused around your torso. Sit-ups serve to improve it, which greatly impacts on almost everything physical you accomplish, including endurance and balance. By improving your overall stability and balance, sit-ups can render your day-to-day life a whole lot easier. For instance, these exercise leads to enhanced flexibility, ensuring that you are sufficiently elastic and in a better position to perform movements you otherwise couldn’t. Sit-ups also allow your legs to develop incredible strength that could enable you to walk and run easier. Doing regular sit-ups at an early age is particularly important; this strengthens your core muscles that might be very useful when you grow older. This implies that you won’t lose your ability to perform activities that rely on your core strength. Studies reveal that losing your balance or ability to move in your old age can be blamed on degrading core strength. A good posture not only protects you from injuries, it also ensures your preparedness against dangerous blows. Bad posture is actually detrimental to your health; it can cause misalignment of your spine or neck problems. Improper posture could easily lead to long-lasting damage to your body as it means that your muscles and bones are not held appropriately. By ensuring everyday growth of your core muscles, regular sit-ups naturally improve your posture. Stronger and more toned muscles compel your body to compose itself with enhanced power while being more erect and natural. Besides, the omission of weight or extra equipment in your exercises ensures that you don’t end up with disproportionate gains. No single exercise can beat sit-ups in its ability to be modified to suit variable workout requirements. 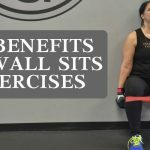 Instead of having different workout routines that cater to specific areas of your body, you can fulfill your needs by doing simple, modified sit-ups. You could place your legs up on a bench, wall or bed while doing sit-ups. This would require you to do a lot more lifting before you can accomplish a single rep. There are variable sit-ups, each of which targets different sets of core muscles. Switching up on these varieties is important in ensuring that your body gets maximum improvement. Core muscles are crucial components for kinesthetic accomplishments. These muscles are largely responsible for such passive attributes as posture. They are divided into the following groups. The lower back muscles that play a crucial role in your lifting capacity. These muscles are susceptible to injury, which can bring forth catastrophic consequences. It is, therefore, imperative that you maintain the strength in your back. Hip muscles and joints, which come in handy when bending over and moving. These muscles should be preserved, lest you develop such conditions as osteoarthritis. By improving the strength of your core muscles, sit-ups not only facilitate your ability to move, they also improve the functionality of your organs. Bad posture and weak core muscles could easily lead to improperly positioned organs, some of which could even lose their function. Most people get fooled into thinking that since sit-ups require no specialized fitness equipment, they are not capable of chiseling out a six-pack on your torso. 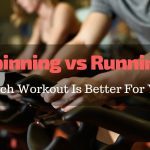 In sharp contrast, it has been shown that using fancy workout gear doesn’t necessarily give an advantage over your simple sit-up or crunch. This emphasizes the fact that you don’t need to visit the gym to do sit-ups; you can comfortably accomplish this in the privacy and comfort of your home. Sit-ups go beyond building your body strength; as you build your muscles, you end up consuming a lot of calories. This means that you continue burning calories even after you are done with the exercises. Doing sit-ups is very helpful for your body’s metabolism, which is especially true for people who are looking to lose weight. People who take unhealthy meals have the tendency of assuming that eating a lot of food is a bad habit. If you eat a lot of wholesome healthy food and do sit-ups regularly, you will be astonished by the benefits you reap. By creating a workout schedule based on the weight of your body, you can end up saving a lot of money. A lot of people spend too much money on workout equipment and monthly gym fees. All these will not be necessary for you if you simply want to gain endurance, grow your muscle mass, or build core strength. Contrary to popular belief, sit-up exercises do not just provide a great way of growing muscle mass; they are also effective when it comes to building core strength and endurance. To achieve this, you don’t need to spend a penny; no specialized equipment or trainer is required. Enhanced Core Strength: A person with a strong core is less likely to sustain injuries by lost balance or a blunt force. You are less likely to strain when doing normal work. For the elderly, there are reduced chances of losing balance. Improved Flexibility: Sit-ups will improve your flexibility, especially at your back and hip region. Lack of flexibility is caused by tight muscles, which can be flexed if you exercise them regularly. Eliminating Back Pain: Having strong core muscles can help to prevent the development of back pain. When you establish your strength in the rear area, you will avoid putting too much strain on your back. This will help to heal minor existing problems and prevent getting others. Exercising your muscles gives you control over them, which means that you will avoid painful spasms. Not only are sit-ups ideal for increasing your stamina, they also help to improve your appearance, which leads to enhanced self-esteem and confidence. Improved self-confidence could save you from mental break down or an anxiety attack. Sit-ups generally afford you an appropriate posture; standing tall and strong, adds to your natural beauty. Sit-ups require a wide range of movements that are designed to tone your abs while burning more calories. This will give you a lean appearance with added self-confidence. Just like any other form of exercise, sit-ups ultimately make you stronger mentally and physically. This kind of strength allows you to believe in your capabilities and self-worth. The heart is among the most vital muscles in your body. Regular exercises, including sit ups can strengthen it a great deal. Sit ups can also adjust it to do harder jobs; this is manifested by the way it pumps when you are working out or doing difficult work. Basically, when you have a strong heart, you have a better cardiovascular endurance, which proves how well your lungs and heart are working to supply oxygen to your muscles and other organs in your body. Sit-ups are the single exercise that can be correctly considered a full-body workout. This is extremely impressive in the face of the fact that most people spend substantial amounts of money annually to go to gyms, yet there is a single exercise that can work out the entire body. 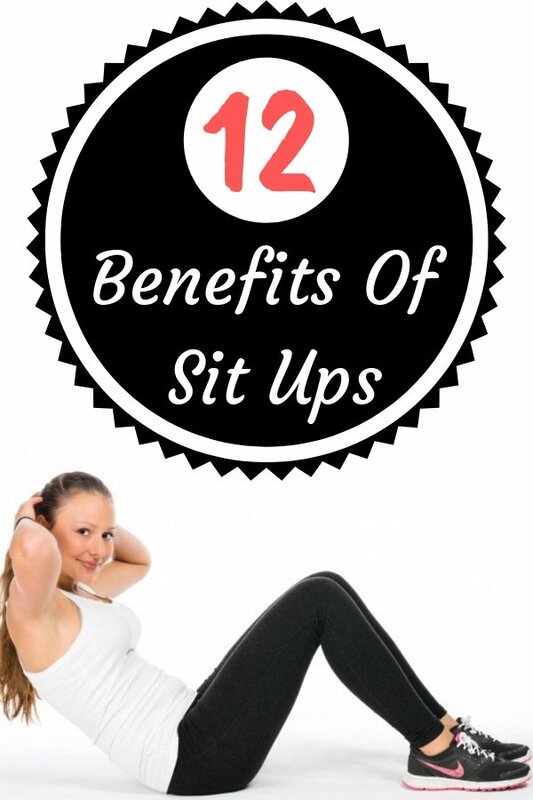 Sit-ups have been the mainstay of home routines for decades, and not without a good reason. This exercise serves to strengthen your back and upper body simultaneously. 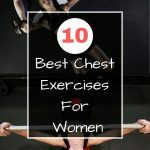 Besides, deriving the many benefits of sit ups is very easy as the exercises can be accomplished at the comfort of your home with little or no training. You can do anywhere, anytime. No workout is greater for travel especially when you don’t have access to the gym. 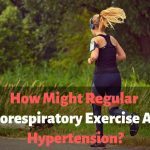 How Might Regular Cardiorespiratory Exercise Affect Hypertension? 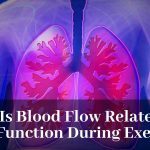 How Is Blood Flow Related To Lung Function During Exercise?